***HOLIDAYS*** NO online reservations taken, call in only. Street parking is available but limited. Valet parking is recommended. 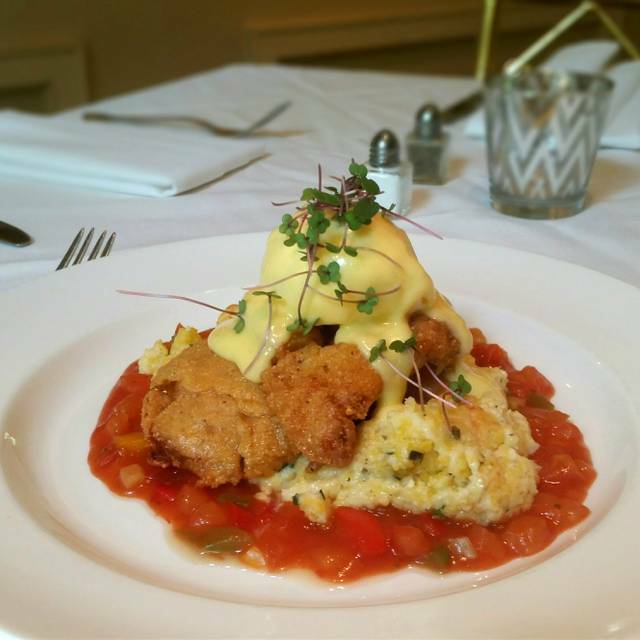 For weekend diners, Brennan’s Creole Jazz Brunch remains a four-star tradition among Houston's Sunday brunch enthusiasts. The air is filled with an abundance of tantalizing jazz music and the fragrance of fresh flowers; southern mainstays and twists on classic favorites are graciously served in sun-filled dining areas. 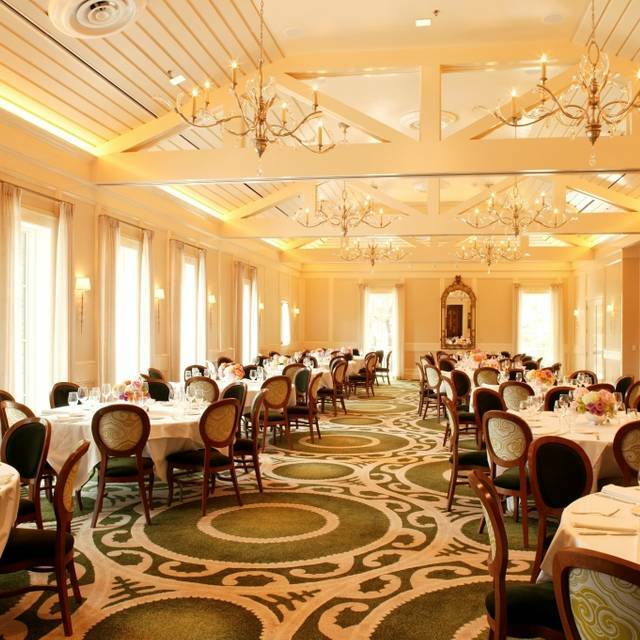 We know that each event is special and at Brennan’s, our mission is to make your event a great memory. 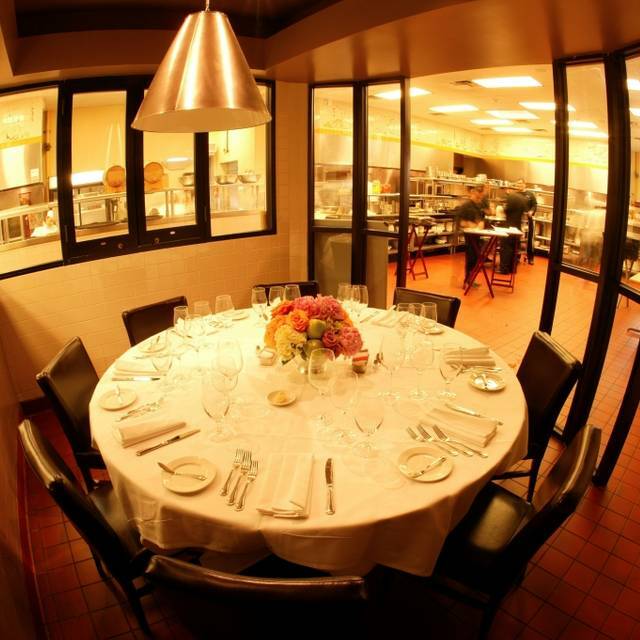 From 10-150, we offer several dining rooms to accommodate your party size as well as full restaurant buy-outs. 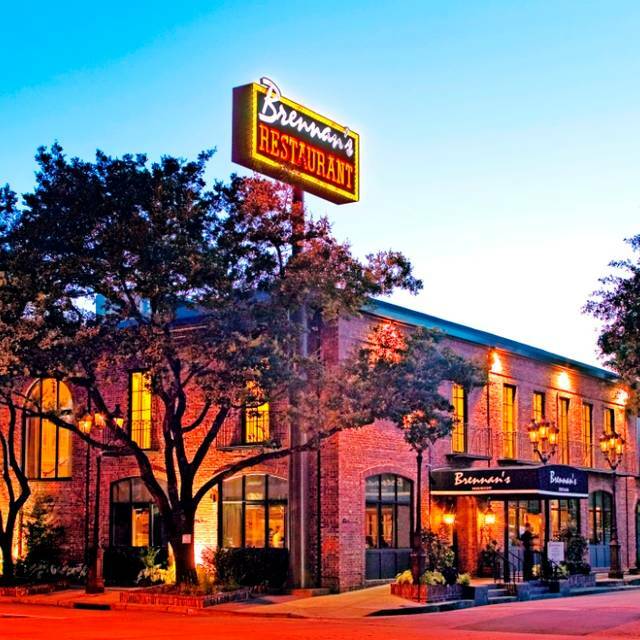 Since our 1967 opening as a sister restaurant to the world-famous Commander’s Palace in New Orleans, Brennan's of Houston has evolved into the city's premier destination for memorable dining served with true Southern hospitality. An excellent experience as usual. Looking forward to our next outing. Brennan's, as usual, was a great dining experience. They never disappoint. Very nice evening! I do think it’s funny that even during lunch service khaki shorts and leather shoes are not allowed—I get during dinner, but mid week lunch, let’s get with the times! There were gentlemen there wearing dirty denim jeans and tennis shoes. Brennan's is always a great place for great food and service. The Jazz band during Sunday Brunch was a real treat. We were celebrating our anniversary. Our waitress was nice but was not very attentive. She had a 10 top table next to us so not sure if that had something to do with it. The service was very slow. Our food was not hot. We sent one of the entrees back to the kitchen. Even though my dish was barely warm it was excellent and I did not send it back. The wine sommelier was very nice and extremely knowledgeable. The desserts were delicious. We were disappointed with the service but love this restaurant. I think this was a one off event. This was my first time to try Brennan's everything was great the food, the atmosphere and service, but for what you pay for portions were on the small side. The dining experience was fantastic. The staff went out of the way to make the celebration a wonderful time and money well spent. Never disappointed at Brennan's! Service and food was perfect. Great food and experience. Our service was rushed for no reason. The restaurant wasn't crowded, but we were pushed to get in and out, which isn't what we wanted. We wanted to relax and be comfortable. It was an amazing experience from beginning to end! Brennan's of Houston is the best. Always has attentive service and the best service. Love the Beignets for dessert! The experience was wonderful. From food to service the experience was unforgettable!!! We will be back!! From the time we walked into the foyer an greeted by a wonderful hostess, to arriving at the table to find an anniversary card along with special yellow ribbon. I was in disbelief to the outstanding way we were treated. Wonderful service, attention to detail, wonderful recommendations on a fantastic wine, to the best broiled oysters one could ask for. This brunch is the best I have had in Houston in 20 years. The jazz ensemble is truly amazing along with a great singer. Not only was the service outstanding, we were able to talk to the manager who in return invited us to view and tour the kitchen. Another breath-talking adventure walking through and seeing everyone working at different station not knowing that guest were watching. Smiles, hand shakes to talking with 2 chefs made this the top of a perfect brunch. Thanks Brennan's, along with the entire staff for making this day really special. We plan on returning with friends and family very soon and to make this a place to visit often. Always good. Every time, no exceptions. Brennan’s is one of those rare restaurants that is always a great experience. Great food, beautiful venue..... service was not the greatest, we expected better service from a restaurant of this caliber and price. Our waiter, Greg, was not rude but not very timely, it took him over 5 min to come to our table, he seemed to be in a hurry.We observed him at other tables and noticed he was rushy with them also. The hostess was nice but her attire was not at all classy for a place of this caliber. They post a dress code online but do not seem to enforce it for the hostess. Again... good food , great place just work with your staff so that customers can have a greater experience. I went to Brennan’s for my birthday and it was so much fun! They had a band and singer walking around and singing to tables who were there to celebrate! I had so much fun and loved spending time with my family! Definitely highly recommended! The food was amazing as well! Great experience once again at a Houston’s perennial favorite! Absolutely love Brennan’s every time. 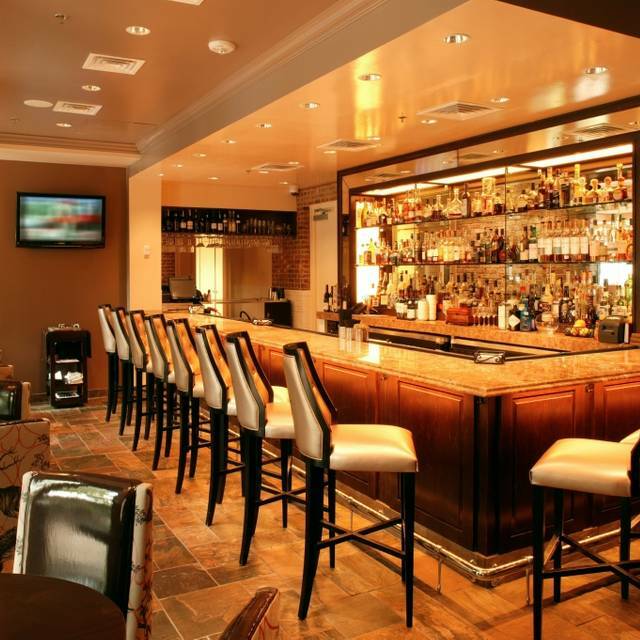 From the food, the service, the atmosphere, ambiance, is always top notch. There’s no reasonable comparison anywhere in town. I indicated that this was for our anniversary. They had a special table in the corner reserved for us. Every thing we ordered tasted great (cold seafood platter, filet mignon, red fish & bananas foster for dessert). We will be back! As always, the service and quality of the food make this an enjoyable dinner and the reason Brennan's is our special occasion destination. 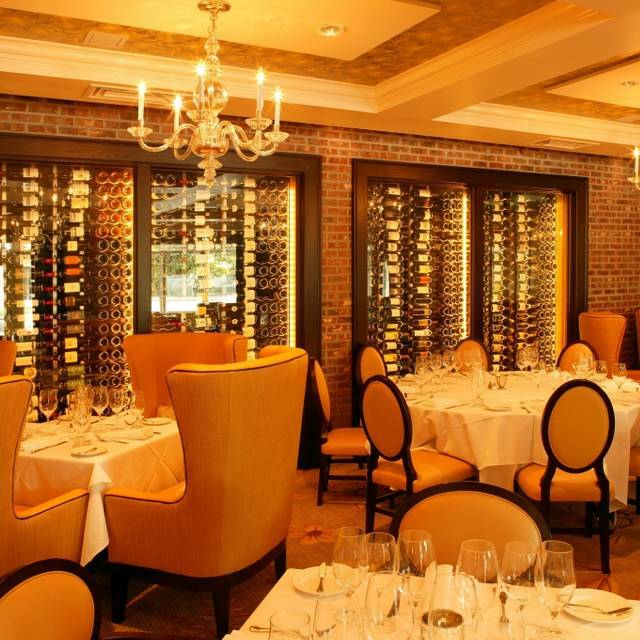 You normally feel good about the dining out experience at Brennan's due to its wonderful menu, the very nice ambience and the great shuttle service to the performance venues. Past visits have been more delightful from a food and service standpoint. The quail entree was bland. Our waiter knew we had to be on the shuttle to the Hobby Center but a delay in serving dessert caused us to gulp and run. The temperature in the shuttle was stifling hot. I guess nobody bats 1.000, even Brennan's. Even corrected a temperature error on entree! Always excellent food and service. We have always gone there for anniversaries, and went there to celebrate our 5th anniversary this past Friday. Normally we are treated in a special way by being given a complimentary round of drinks or a plate of pralines with “Happy Anniversary” written on it in chocolate, but this past night nothing. On top of that, they gave us a hard time for trying to use our open table rewards. They wanted us to print the reward card, even though I explained it was only digital. We will be looking for a new place to celebrate anniversaries from now on. Anniversary #19 is in the books but not over. Like everything “Burwell” the celebration goes on and on and on.....to be continued....tonight we celebrated at Brennan’s downtown with turtle soup and gumbo, and Snapper Ponchartrain. The soups were perfect and flavorful. The main courses were extraordinary in that the piece of snapper atop the mushroom Parmesan rice was nice sized with a beautiful sauce. There was a pile of crab meat, two nice large shrimp and 3 of their crispy fried oysters as well. The oysters alone were so fresh and tasty I will order them as a main on our next visit. Sure there was the flaming Bananas Foster and the unabashed pilfering of their Praline stash by the door. What a lovely evening. Thanks to Rodney and Ramon. My wife and I look forward to returning for another exquisite dining experience. We were at Brennan’s to celebrate our 50th anniversary with our daughter, son-in-law, and their children. Our waiter, Greg, was very attentive and esp helpful with the children’s orders. The food and service was excellent, as it always is at Brennan’s. The icing on the cake was a visit to our table by a jazz trio and beautiful singer who helped us celebrate with “Always,” and then “Let It Go” for our 5 year old granddaughter. We cannot imagine a nicer anniversary celebration! 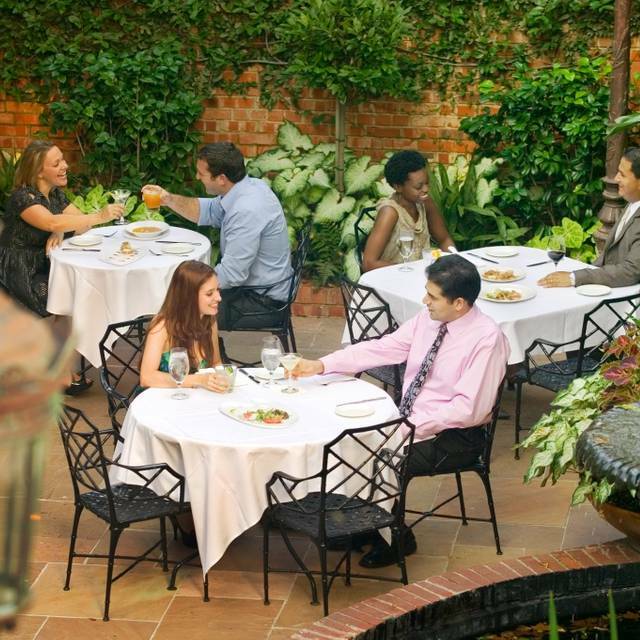 Brennan's of Houston is a wonderful place for a celebration, getting together with friends, or a special dinner for two. We think Brennan's is our favorite of all places to have brunch. 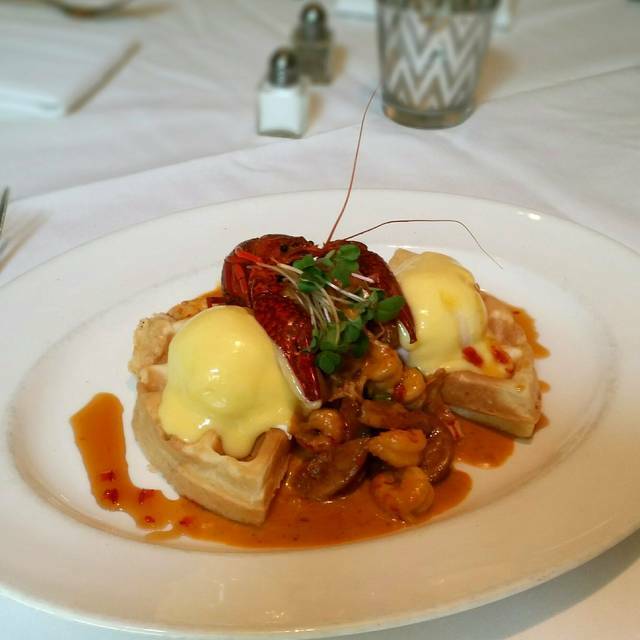 The Creole Brunch offers three courses with excellent choices. The service is exactly right. We always try to have brunch at Brennan's when we visit Houston. OUTSTANDING restaurant ! The setting, ambiance, quality of food and service - just great. I had flowers delivered the day before Sunday Brunch for our table, and they were on the table, beautiful. Our waiter was attentive, exceedingly professional, anticipatory and polished. Would rate this visit as an A+. The food was extremely good. The customer service was awesome and the environment was so relaxing and chill. We had a excellent evening at Brennan's. Greg did an amazing job of providing recommendations for specials and wine pairings. The service is always outstanding. The decor and ambience are outstanding, akso. Food and service were outstanding. Some of the best service ever. It's been 15 years since we ate at Brennan's and we won't let it be that long again. Excellent food and service at a great restaurant. Arrived early and enjoyed great cocktails in the bar before dinner. Seafood was incredible, very fresh and deliciously prepared. Staff was friendly and attentive. 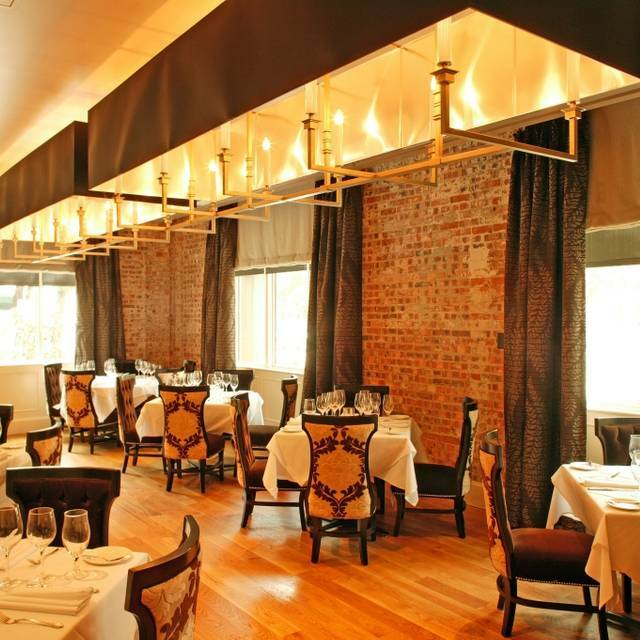 This is a great place for business dinners or a romantic meal. the service was awful. We went for a pre concert brunch and had to skip desert and not finish our food because it took so long. for our 1st course, we had to remind our server that our food was sitting in the middle of the dining room on a tray. the server forgot to serve it to us. No apologies by the server and no discounts given when we had to cancel desert and rush out. Food was great as usual. St Patrick’s day brunch menu is a real treat.